Midshire is one of the largest independent printer resellers in the UK, supplying an extensive range of printers from the world’s leading printer brands. Specialising in the delivery, installation and maintenance of the most premier printing devices on the market, Midshire provides companies nationwide with the widest variety of the most up-to-date printers available. As a Ricoh Prestige Partner we work with Ricoh UK to deliver modern, cost-effective and innovative print solutions for all types of organisations. 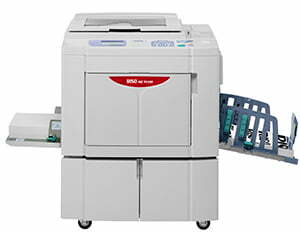 Ricoh is a leading printer brand in the global print solutions marketplace, and is one of the top providers in the UK. As well as the standard laser printers that use toner cartridges, Ricoh has also recently introduced a new range of office printers, GelJet printers. Different to the traditional toner, GelJet inks dry on contact with paper and is water insoluble, meaning that it does not run when in contact with water. As with the larger photocopiers, we can supply and service Ricoh printers on a Managed Print Service contract. Additionally, Ricoh printers can be purchased outright or financed via a printer lease. Ricoh printers are business grade devices capable of substantial office use. Incredibly reliable and highly energy efficient, Ricoh printers have become a firm favourite in many offices across the globe. The HP PageWide printer range is reinventing the way we print. 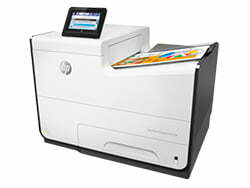 These unique HP printers provide fast, high-quality, low-cost and reliable printing. By moving only the paper, under a ‘page wide’, stationary printhead, HP PageWide technology overcomes the trade-offs between quality and speed, seen in traditional ink-jet printers, whilst enabling savings of up to 50% of total printing costs. HP PageWide devices print across an entire page in a single pass, with 42,240 tiny nozzles ejecting ink precisely on the right location on a moving sheet of paper. Because the paper is moving rather than the print head, HP PageWide printers are incredibly reliable. Reliability is one of the major advantages offered by the PageWide range. Research conducted by Buyers Laboratory Inc. (BLI) showed that the HP PageWide X586dn printed 200,000 pages without failure, meaning you can be confident that your lengthy print runs will go without disruption. Home to the world’s fastest printer, RISO UK is a leading manufacturer of RISO printers and RISO duplicators. The RISO products differ to most other printer brands. Not only do they use ink rather than toner, the actual printing process is completely different. Midshire is proud to be recognised as the largest reseller of RISO equipment in Europe and have a dedicated team looking after the sale, service and support of RISO products. RISO printers are a firm favourite with schools, churches and political parties due to their production of high volumes of print output for an extremely low cost. As well as speed and volume, RISO machines can also create stapled booklets with the multi-functional finisher, or professionally finished books (glue bound) with the perfect binder. At Midshire we have RISO-trained engineers who specialise in dealing with RISO repairs and the maintenance of the full range of RISO machines. We also have a wide range of second hand RISO printers and duplicators available for a restricted budget. As well as RISO printers and duplicators, Midshire also provides a full range of RISO inks and consumables to help with the smooth running and operation of these devices, including all RISO inks, RISO accessories and supplies. As a Lexmark Business Solutions Partner, Midshire is able to supply a complete range of Lexmark printers to suit a variety of business needs. 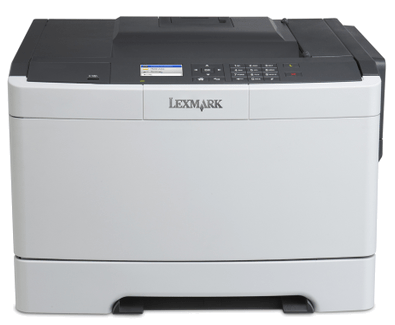 Whether you need your laser printer to be mono or colour, or you require a particular speed or paper capacity, the Lexmark range of printers is extensive. 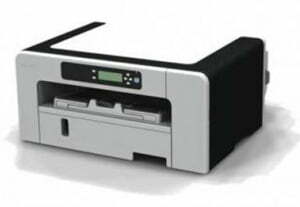 Midshire can provide desktop Lexmark printers for small workgroups with restricted space, or large floor standing printers, which are suited to larger office environments that are able to cope with higher print volumes. Lexmark printers are designed with your brand in mind. Every colour printer from Lexmark comes with named colour replacement as standard, meaning that you can be sure your colour printing is consistent and matches your specific corporate colours. Not sure what brand of printer is best for your business? One of our experts will be able to help you find the ideal device to meet your needs, and you can even have a 30-day trial of it as part of our Try Before Your Buy scheme.